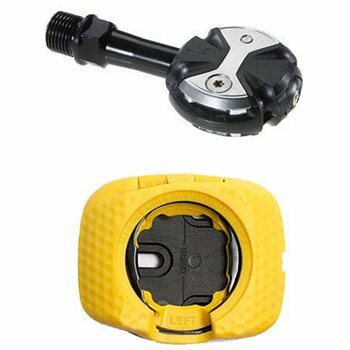 By thinking "outside the box", Speedplay created and patented the most technically advanced pedal system ever, featuring your choice of either a fixed position or up to 15 degrees of micro-adjustable float. Once you compare the features of Zero pedals to any other brand, you'll find that other pedals systems are no match. And like all Speedplay pedals, this is accomplished without compromise by ensuring that the locking edges of their pedals and cleats are made of metal, not plastic.